William Tom (never Thomas) was born in late 1894, the son of Francis Frazer and his wife Emma Louisa (née Ruddle). Francis was a journeyman carpenter from Overton in Hampshire who married Emma (from Old Basing) in 1888 in Whitchurch. Tom was their fourth child (third son) following Francis Harry (born 1889), Florence Louisa (1890) and Albert Sidney (1892) and the first to be born in Newbury, the previous three having been born in Ecchinswell. In the 1891 census their Ecchinswell address was given as ‘cottage near post office’. Tom was followed by five further siblings: Alice Elizabeth (born 1894), Ernest Robert (1900), Arthur Edward (1902), Hilda Kathleen (1905) and Ena May (1908). Shortly before Tom was born they moved to Newbury; by 1900 they were living in 4 Rose Cottages, Railway Road. In 1902 they moved along Railway Road to 1 Ivy Cottages and then, in 1910, they moved to 14 Connaught Road. This cul-de-sac off Mill Lane was built around 1908-1910 - so it is very likely that they moved into a brand new house as its first tenants. After his schooling Tom got a job as an errand boy for James Brindley, a fishmonger in Cheap Street, a job that may well have been found through his elder brother, Albert, who worked, according to the 1911 census, as a fishmonger’s assistant. However, Tom appears to have wanted a little more excitement than was on offer in a fishmonger’s and signed up with the Grenadier Guards; from his service number it seems that this was in 1912. When war broke out he was serving with the 2nd Battalion, stationed in Chelsea, no doubt taking part in the ceremonial duties of a Guards Regiment in London, guarding Buckingham Palace, etc. The 2nd Battalion Grenadier Guards landed in France on 15 August 1914, eleven days after war was declared, but Tom was not with them. For some unknown reason Tom did not travel with them. He did not reach France until 23 November (one day too late to receive the 1914 or 'Mons' Star). The battalion suffered appalling losses in the defence of Ypres in November, their numbers being reduced to company strength (fewer than a quarter of the original). Tom probably arrived as they rebuilt their numbers. Private Thomas Frazer, Grenadier Guards, writing to his mother, at Connaught-road, Newbury, from the Military Hospital, Disbury, Manchester, gives some interesting reminiscences of his experience of active service. He appreciates the comforts of a hospital bed after being for six weeks in the trenches with clothes unchanged. He seems to have spent Christmas up to his waist in water and mud, two comrades having been actually drowned. Some had to be practically dug out. Christmas was evidently not marked by excessive feasting, for the company with which Frazer was serving, had the bad luck to be 48 hours without food or drink, their relief not coming as soon as expected. Finally, a number of French and Indians prepared other trenches, and relief came by 10 o’clock on Christmas night, but the Company were unable to feel their feet for a considerable time. They experienced a clever German ruse, which happily failed. The enemy blacked their hands and faces and approached the British lines in the disguise of Indians. Their uniforms betrayed them, and at close quarters they met a fusillade from our men. Being frost-bitten, Frazer has been invalided home. Life in the trenches was hard; in summer the fighting was at its fiercest, in winter the men were exposed to the worst of the weather with little shelter. Frostbite was all too common and often resulted in the loss of toes. However, even if a toe or two was lost, men usually recovered to return to their frontline units, within a few months - as Tom evidently did. On 1 July 1916 the British launched the infamous offensive on the Somme leading to colossal losses on the first day. The 2nd Battalion Grenadier Guards were well away from the action in July as the Guards Division was manning a section of the line near Ypres. On 1 August they were moved south towards the action, Tom’s battalion entering the frontline near Beaumont Hamel on 11 August. However, it was not until 15 September that they faced any serious fighting. 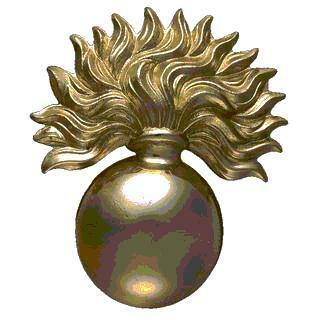 Tom died at a casualty clearing station (CCS) in an area known as Grove Town to the troops. Today this is relatively remote farmland but, in 1916, it was a busy railhead through which men and supplies would reach the battle zone. The CCSs (there were three at Grove Town at the time) were relatively sophisticated hospitals, safely away from the danger of enemy shellfire they would take the injured from the forward dressing stations, operate as necessary and patch them up prior to sending them, either to a base hospital in France or, if their wounds proved to be minor, back to their unit. Sadly many who made it to a CCS did not make it. Some died before or soon after their arrival at the CCS as their wounds proved fatal, others survived their wounds and subsequent medical procedures, only to succumb to infection days or even weeks later. In general men would not stay at a CCS for very long. Tom died on 29 September 1916, four days after his battalion was involved in a successful attack on the German lines around the village of Lesboeufs; however, they suffered heavy casualties (330 men killed, wounded or missing). Ten days earlier on 15 September the Guards had made an unsuccessful attack in the same area. On that occasion they had 359 men killed, wounded or missing. Given the short term nature of care at a CCS it is more likely that Tom received the wounds that eventually killed him during the attack on the 25 September, but the earlier attack on 15 September cannot be ruled out. Private William Tom Frazer, 2nd Grenadier Guards, died at a London Clearing Hospital on September 28th, the result of wounds received in action a few days previously. Previous to this he had been invalided home owing to frost-bite, and had returned to duty six weeks before being wounded. Before the outbreak of war he had served three years in the Army, and was formerly employed by Mr James Brindley, fishmonger of Cheap-street, Newbury. His age was 22. The newspaper item on his death is misleading, Tom did not die at ‘a’ London Clearing Hospital, but at ‘the’ London Clearing Hospital. This was not a hospital in London – one of the Casualty Clearing Stations at Grove Town was the 55th Casualty Clearing Station aka 2/2nd London CCS. He was buried in the Grove Town Cemetery, Meaulte in plot I.G.47. In loving memory of our dearest son and brother, Pte William Tom Frazer, late Grenadier Guards, who died September 28th, 1916, of wounds received in Battle of Somme. From his Mother and Father, Sisters and Brothers (late of Connaught-road, Newbury). 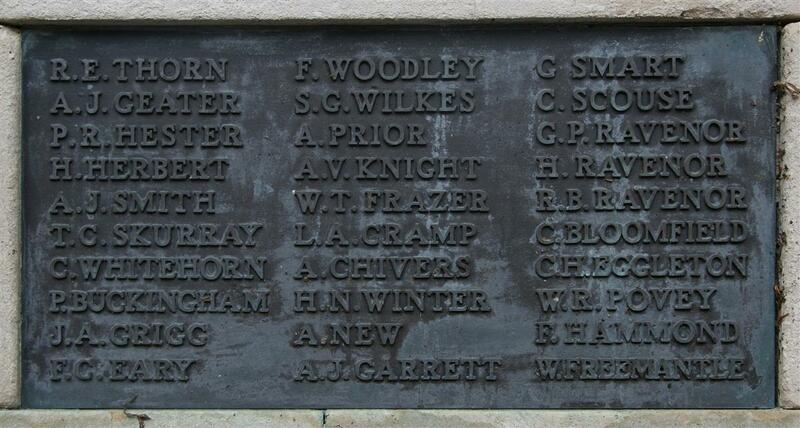 Locally he is remembered on tablet 12 of the Newbury War Memorial.